Forest Garden Burford Pavilion: The Forest Garden Burford Pavilion is a traditionally styled octagonal garden pavilion complete with five benches. 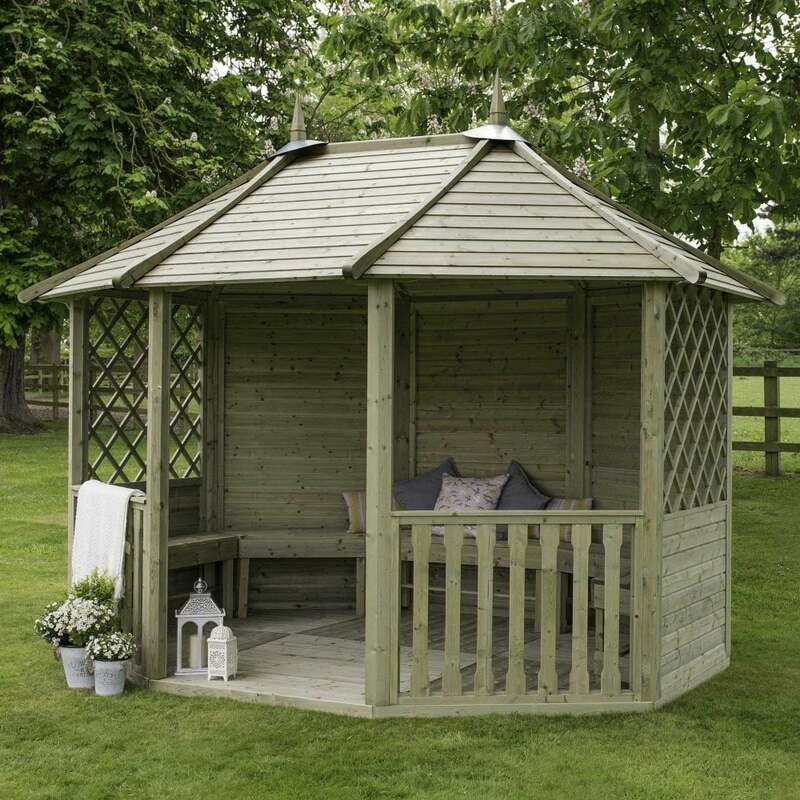 This eight sided pavilion provided by Simply Log Cabins has three solid panels, two half lattice sides, two half open sides and an entrance way. This pavilion would make a fantastic natural looking feature in any garden.